At Tampa Tree Service, we are here for you 24/7, 365. Even the smallest of storms can cause significant damage to your trees, especially those that are overgrown or weak. 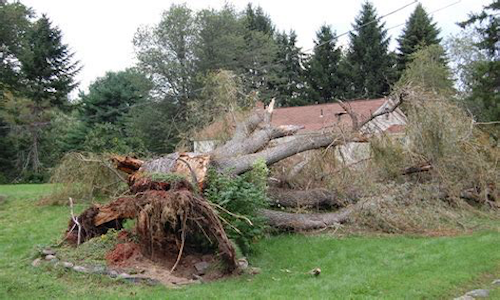 In the case of storm damage to your trees, you can count on us to get there quickly and work hard to restore your landscape. We go above and beyond for our customers because we know that, when you need emergency tree services, you need a team of professionals you can trust. 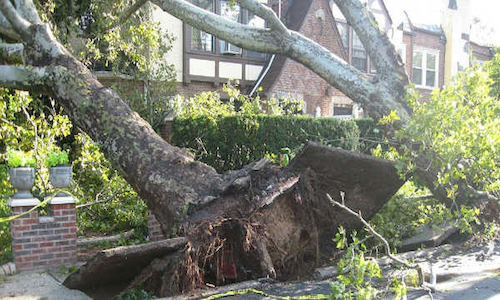 When you have tree damage from a storm, you should get to a safe place and call us, as soon as possible. Damaged or downed trees can be very dangerous and you should never try to move them on your own, as they could be entangled in live power lines or supporting a damaged structure. Once we receive your call, a member of our team will immediately come to your home or business to assess the damaged tree or trees. At that time, we will give you a cost estimate to perform the services required to safely and efficiently service your trees. Our emergency response team, along with the necessary equipment, will then be mobilized, arriving at your property as quickly as possible. Any safety hazards will immediately be identified and the appropriate assistance, such as utility companies, will be contacted. Our main goal is always to maintain the safety of our customers and our crew, before and during any emergency tree services. Once a safe environment has been established, we will get to work servicing your trees and removing all debris left behind by the storm. Any large pieces of wood will be hauled away and the smaller pieces will be put into our chipper. Our tree experts will work until your landscape has been restored and there are no signs of storm damage. When there is an emergency, you want someone you can trust to keep you safe and help you get you life back to normal. We have been taking care of the Tampa community for years and we know what it can be like when disaster strikes - allow us to handle the heavy labor so that you can focus on your loved ones. Often times, when high winds hit, large trees fall on or into homes and structures, trapping you and your family inside. In these frightening situations, our emergency responders are the first ones to arrive, as emergency personnel and firefighters rely on us to clear a path. At the first sign of tree damage, call us and we will be there. It is also important to take care of your trees year-round, in order to avoid or minimize damage from severe storms. By keeping your trees trimmed and having a certified tree professional assess your trees for damage on a regular basis, you can prevent detrimental damage from high winds. An unhealthy tree is not always obvious from the outside - just because your tree looks healthy, doesn’t mean that it is. Call us to service your trees before a storm strikes. 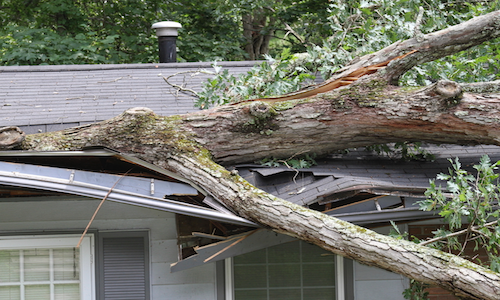 Doing so can mean the difference between costly damage to your home and a few downed limbs.